From the bestselling, Man Booker-shortlisted author of The Sisters Brothers, comes a brilliant and boisterous novel that reimagines the folk tale. 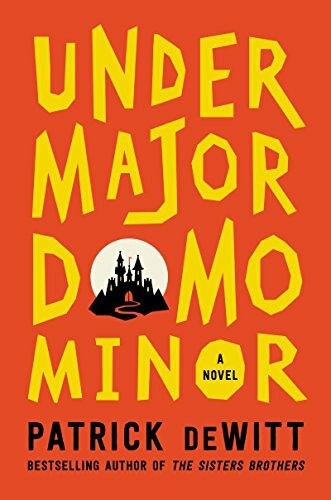 A love story, an adventure story, a fable without a moral, and an ink-black comedy of manners, Undermajordomo Minor is Patrick deWitt’s long-awaited follow-up to the internationally bestselling and critically acclaimed novel The Sisters Brothers. Lucien (Lucy) Minor is the resident odd duck in the bucolic hamlet of Bury. Friendless and loveless, young and aimless, Lucy is a compulsive liar, a sickly weakling in a town famous for producing brutish giants. Then Lucy accepts employment assisting the Majordomo of the remote, foreboding Castle Von Aux. While tending to his new post as Undermajordomo, Lucy soon discovers the place harbors many dark secrets, not least of which is the whereabouts of the castle’s master, Baron Von Aux. He also encounters the colorful people of the local village—thieves, madmen, aristocrats, and Klara, a delicate beauty whose love he must compete for with the exceptionally handsome soldier, Adolphus. Thus begins a tale of polite theft, bitter heartbreak, domestic mystery, and cold-blooded murder in which every aspect of human behavior is laid bare for our hero to observe. Undermajordomo Minor is an adventure, a mystery, and a searing portrayal of rural Alpine bad behavior, but above all it is a love story and Lucy must be careful, for love is a violent thing.